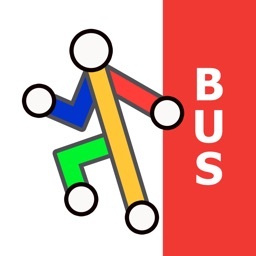 ● Instantly see the route of any transport service drawn on the map. 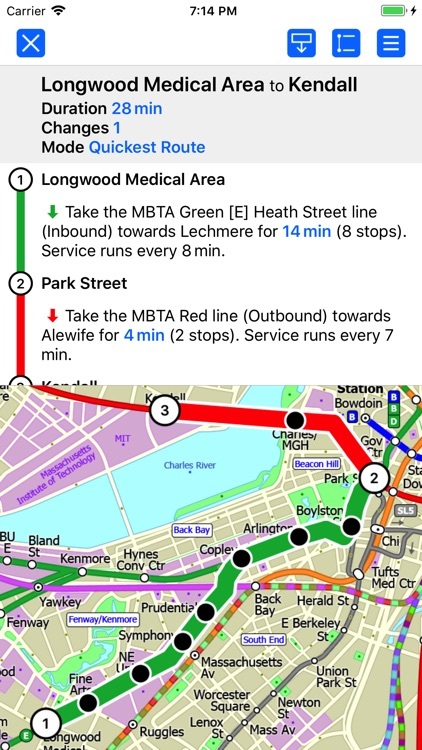 ● Unique “Minute Map” feature allows quick view of all journey times from a start location. ● GPS location and tracking. 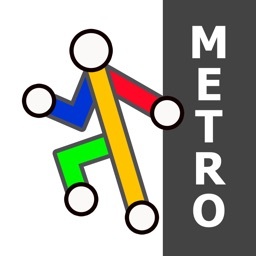 ● Streets, Places of interest etc built into the application. 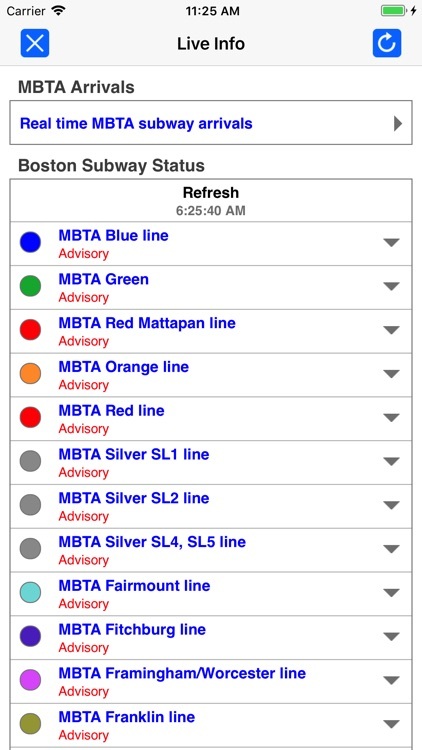 ● Live service status, planned disruptions, etc (internet required). 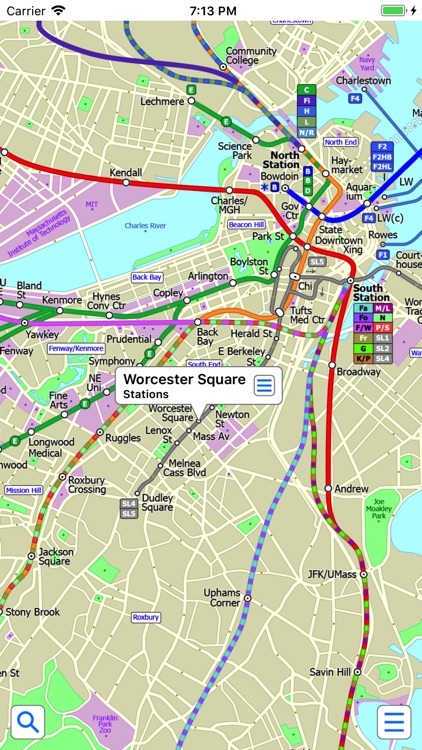 The new Boston Subway map makes it easy to travel in and around the city using the MBTA Subway, MBTA Commuter Rail, MBTA Boats, and Massport shuttle buses. Unlike old fashioned schematic style maps this product contains a geographically accurate central area showing major streets, parks and places of interest etc. 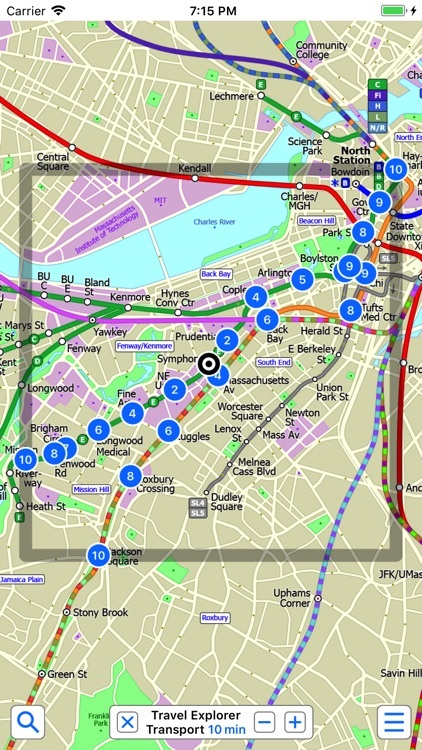 The map is hand drawn by Visual IT and provides a unique geographically based view of Boston with many places of interest drawn directly on the background so you can easily get your bearings when traveling around the city. You can also use your inbuilt GPS to accurately locate and track yourself within the city centre and see the nearest transportation stop and distance to it. This is the only public transportation route planner with this ability. Tap on the map for location information, use the inbuilt search feature or choose from a list of locations. Places of interest, museums, hotels, parks, restaurant, shops, hospitals, streets, etc, are also included. 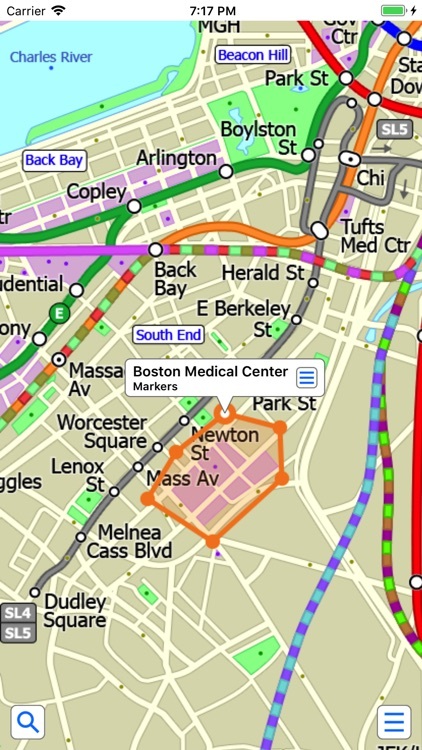 The route planner will automatically suggest the nearest station to any place of interest you select. Another great feature is the “Minute Map” option which allows you to see the travel times from a start point to all other locations on the map. 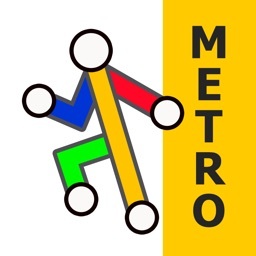 This is a unique way to view the topology of a city and gauge traveling times. The application does not require an internet connection and will always be available to display a clear and detailed view of the city transport systems, plus list and animate the optimum route for your journey. This product provides the fastest route calculations of any mobile routing application (virtually instantaneous) using actual published journey times with the ability to select the quickest route or the route with the least changes. When an internet connection is available, optional "Live Information" on the current state of the transport services can be viewed, allowing you to plan your journeys in advance and avoid any potential delays. Unique to this application is the ability to turn off services that are out of action and automatically calculate an alternative route. This map is one in a series of Zuti worldwide city maps, if you like this product you may also enjoy some of our other offerings, please visit www.zuti.co.uk for further information.